Bill swam competitively for Hornchurch Swimming Club in his early teens. Coached by John Verrier, the Great Britain Olympic team coach, Bill achieved achieved National level standard and competed at the Blackpool National Championships. After this, Bill turned his experience and knowledge into coaching the youngsters of today, helping them to achieve their goals and to realise their ambitions. 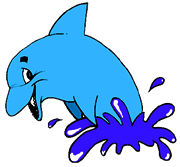 Bill had coached for both Hornchurch and Killerwhales swimming clubs before being involved in the setting up of Havering Dolphins Swimming Club. Lynette swam competitively during her youth for Beckenham Ladies, training at Crystal Palace National Sports Stadium, and Lambeth Swimming Club. Coached by Bill Ludgrove and Reg Laxton, Lynette reached National level at backstroke competing at the Blackpool National Championships. Lynette has spent the last 30 years teaching and developing both children and adults throughout the borough and has also coached for both Hornchurch and Killerwhales swimming clubs before being part of the setup team behind Havering Dolphins. Lynette helped to build the Learn-to-Swim and Development section of the club. She also has a proven track record in teaching and encouragement and is now bringing in the children of the children she taught 30 years ago. As a former Greek International basketball player, Nick understands the commitment and hard work that is required to reach the highest levels and tries to apply the same principles to his training, Nick is also still an active swimmer for the club and continues to compete for the masters squad. Nick is also a fully qualified Chartered Physiotherapist earning his degree and Masters from Glasgow Caledonian University. Andrew has been involved teaching with the club for some many years, It started when he began to bring his own children to swim. Andrew has continued his role as a the main coach of the lower squads providing invaluable lessons to aid the young swimmers in their development towards acheiving their goals as competitive swimmers for future opens.